Found ourselves lost near Charm. Asked nice Amish lady for directions to Saltillo. Asked nice farmer for directions to Saltillo Cemetery. Gave us very detailed directions. Thanked nice farmer and moved on. Decide to head back to town for gas. Discovered map in glove compartment. Success at last! The Library Ladies found the elusive cemetery only to discover that its real name is Salem Cemetery. (Which may explain the strange looks we received when asking where “Saltillo Cemetery” was located). What a beautiful old cemetery it is, perched high upon a hill overlooking the valley below. Did we find the headless Death Angel? Oh yes! What else did we find, you ask? You’ll need to stay tuned to future episodes of the Grave Adventures of the Holmes County Library Ladies to find out! 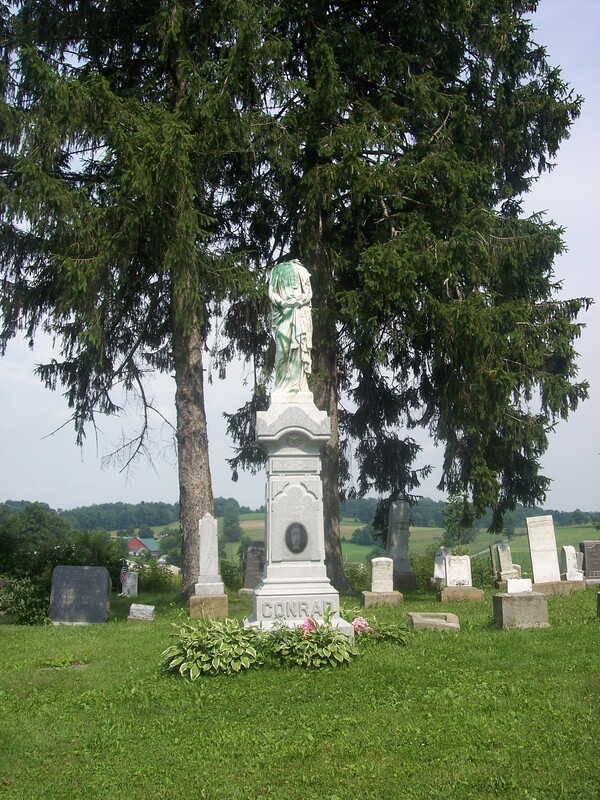 Until then, take a peek at our photo gallery below of Salem Cemetery located in Mechanic Township. This entry was posted in Cemetery Visits, Mechanic Township and tagged Death Angel, Holmes County, Holmes County District Public Library, Mechanic Township, Salem Cemetery, Saltillo. Bookmark the permalink. On “Graduation Eve” a couple car loads and a jeepful of soon-to-be-graduates from the WHHS Class of ’76 went to visit the Angel–not sure when it got ‘Death’ added–at the Salem Cemetery near Saltillo in Mechanic Township. It was an historic evening to be sure! There are truly many stories about the “headless angel.” Thanks for sharing this one!